There’s no other sound in the world like the thunderous rumble heard trackside. Our love of everything that encapsulates the sport of kings is truly unmatched. As horse racing specialists we believe there is no place better to buy or race a horse than Melbourne Victoria. The City is home to a magnificent Spring Racing Carnival that is the envy of racing purists in Australia and around the world. Ken King Thoroughbreds is a breeding and racing enterprise that consistently gets winners at the highest level. If you are looking to race horses we are well known within the industry as a leader for successful racing ownership. We have bred and raced many quality black type performers over the past 20 years. Our horses have achieved consistent success - 17% strike rate, 8% of individual winners black type and have returned over $12.5m to our fellow owners. 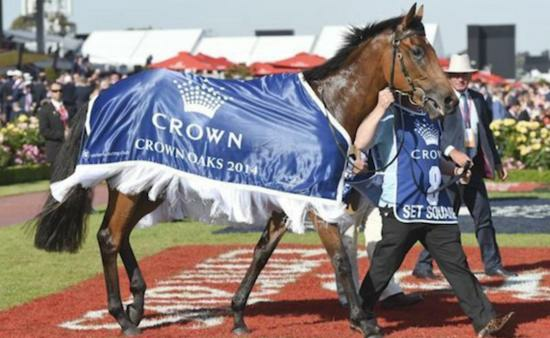 Ken King's boutique breeding operations boasts many stakes quality horses including G1 winners BON AURUM and SET SQUARE and stakes winners BONS AWAY, LATE CHARGE and HELIDECK. Ken has also purchased other G1 winners like BON HOFFA and RINKY DINK and stakes winners WILDLY, SKALATO and ARCTIC COMMAND. Our success is your success and a gateway to an enjoyable and profitable racehorse ownership experience. You know when you search our horses for ownership to buy from our site that you increase your chances of finding a racing horse that can run and compete at the highest level at a reasonable price. Our long term involvement and success in the thoroughbred industry as a multiple G1 breeder and multiple G1 owner has meant that we have developed long term lasting relationships with our fellow owners. At our stud in Euroa just two hours outside of Melbourne, we’ rear young race horses up to be Australia’s next champion. Whether you’re in Melbourne or any other part of Australia, there really is no better place to buy a horse interest or join a breeding and racing team. If you’re looking to buy a racing horse and would like to know more, feel free to contact us on 1300 657 987 to speak with one of our friendly and helpful staff, or view our thoroughbred horses for sale online today. Alternatively, you can get in touch by entering your details and query into our form online and we’ll be sure to respond as soon as possible.